Overview: Wolfgang has sought to combine two of their favorite things; their beloved dogs, and the process of creating world-class products. It was created to celebrate the unique relationship between a dog and his people. The high quality leashes, collars, bags and clothing are not only durable but fashionable. 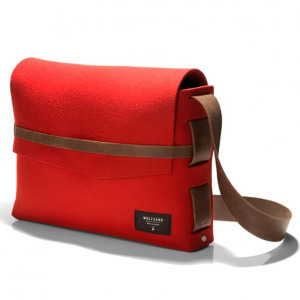 The Wolfgang Felt Messenger Bag has a simple elegance and is great for hauling a few daily items. 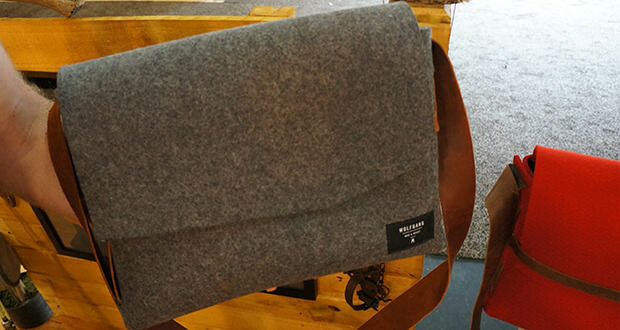 What Makes It Unique: The Wolfgang Felt Messenger bag is made with European felt and American leather. The bag has been cut, folded, stitched and riveted into a simple and elegant form. The messenger bag is not huge, but it will carry all the daily items you’d need to haul along. 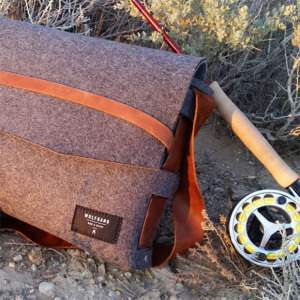 The bag comes in both red and gray and will be a new favorite edition.